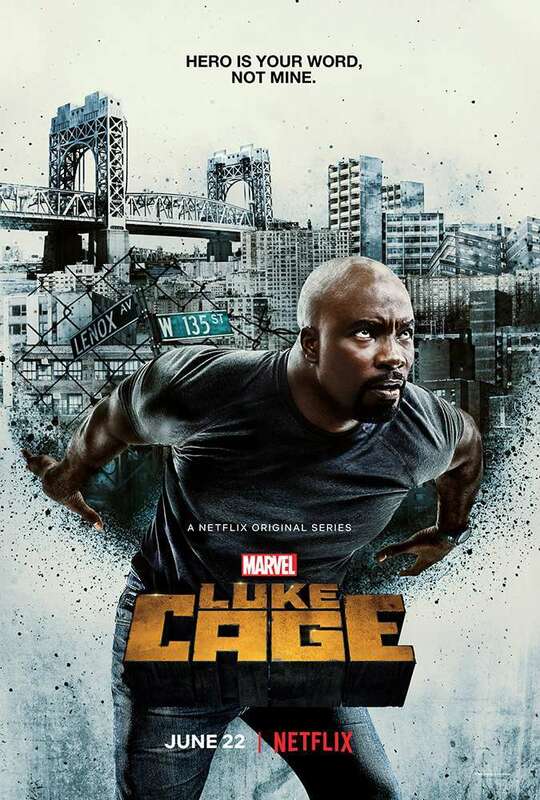 Last week, Netflix released the second season for Luke Cage, the third entry in the streaming service’s Defenders series that includes Daredevil, Jessica Jones, Iron Fist, and The Punisher. 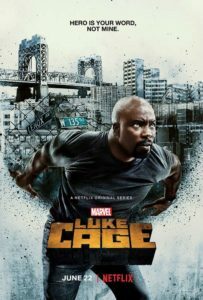 Following the events of last season where Cage (Mike Colter) was drawn into conflict with Cornell “Cottonmouth” Stokes (Mahershala Ali) and his cousin “Black” Mariah Dillard (Alfre Woodard) only to be hunted by his crazed half-brother Willis “Diamondback” Stryker (Erik LaRay Harvey), the eponymous series’ hero must combat John “Bushmaster” McIver (Mustafa Shakir) who seeks revenge against Mariah for the crimes of her kin. The first season of the show was critically acclaimed for its exploration of challenging topics of race in America, an integrated soundtrack making the piece something of a visual album, and the remarkable performances of its cast (in particular, its actresses). Lets see if the second season matches up. Fair warning: there will be SPOILERS. Back in 2015, creator Jeff Martin (HEAT: The Space Age of Pro Wrestling, Wrestlemon) was asked to pitch a comic to a music magazine. Listening to one of his favorite bands Gwar, the song “Where is Zog?” played which planted the seed for what became his webcomic Where is Zog? on HeavyMetal.com. 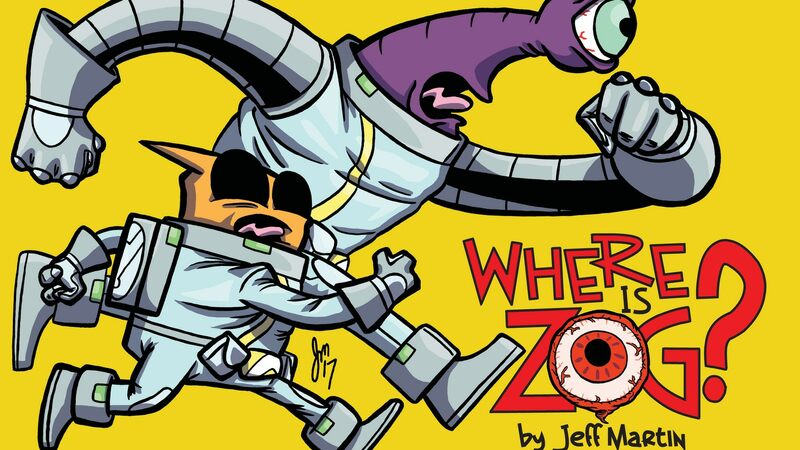 The series features aliens Grum and Zill marooned on an unfamiliar world in search of the mysterious Zog. Despite its science fiction-based premise, the piece is best described as a dark comedy as Grum and Zill race from life-threatening situation to life-threatening situation with comical gore and death. A running gag of the work is the different interpretations of what a zog is to the different cultures of the alien world (which undoubtedly is a nod to the reader themselves who have little idea what the Zog the story centers around is in fact). Admittedly, I’m not really the target audience for this piece. I have little idea about Gwar where in doing research into the band and its expansive mythology, only more questions seemed to emerge (it should be noted, Martin would eventually get to contribute to a Gwar comic in the final issue of Dynamite’s GWAR: Orgasmageddon mini-series). And while there are space-based science fiction and dark comedies I enjoy, it’s slightly out of my wheelhouse. Still, I found the work to be inventive and entertaining albeit difficult to encapsulate what it is. Spending a few days considering it, I would likely qualify it as if someone took a PG-13 version of the original Heavy Metal (1981) animated film short “So Beautiful and So Dangerous” and stuck it in a blender with Undertale, 2011 ThunderCats, and Rick and Morty and you’d have some idea what you’re in for regarding Where is Zog? It’s an ongoing journey that is yet resolved where Grum and Zill’s misadventures seem to stack upon themselves more danger which, seemingly, will result in an entire planet uniting to get rid of them. You can own Where is Zog? in print via its Kickstarter which ends November 9th and should ship by the end of the year. Creepypastas, or horror-based urban legends from the internet, have grown in popularity in recent years with the likes of Slender Man, Candle Cove, and Jeff the Killer entering the mainstream. However, one of the earliest creepypastas is making a resurgence on the printed page. The Polybius legend is of an arcade cabinet video game called Polybius distributed by mysterious men in black to a handful of arcades in the Portland, Oregon area in 1981. These machines acted as part of a psychological experiment, one that made players addicted to it, induced various psychological affects (amnesia, night terrors, sleepwalking, depression, seizures, hallucinations, etc), and led to some committing suicide before the game disappeared a mere month after debuting. As with the other noted creepypastas, there are people out there who believe in the existence of this game (which some attribute to the early version of the 1981 Atari game Tempest which reportedly gave a player a migraine in Portland). The phenomenon surrounding Polybius even led to the development of a documentary from Todd Luoto, Jon Frechette, and Dylan Reiff that, due to lack of funds, culminated into a currently ongoing seven-part podcast series centering around Bobby Feldstein who claims the game was real and played a part in his supposed abduction (as well as the abduction of at least one other child). 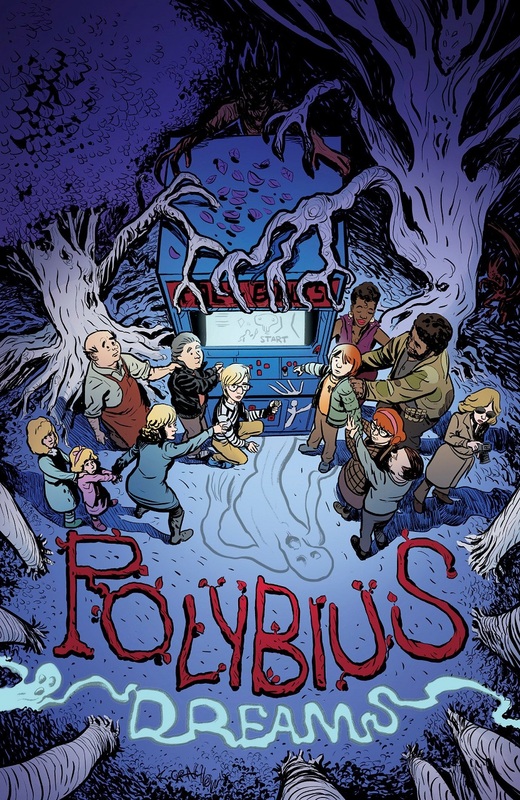 About six months ago, a crowdfunding effort would begin to produce the first issue of a comic book based on the legend of Polybius. Titled Polybius Dreams, Ben Grisanti, Keith Grachow, and Ester Salguero through Grisanti’s Hypnotic Dog Comics recently published its first issue and are currently crowdfunding for its second chapter of the four part series. Following a trio of lovable losers in Patrick, Paul, and Michael in 1986 Autumn Hill, NY, a mysterious new game called Polybius arrives in the small town’s arcade followed by the deaths of several youths. Friends with the arcade’s co-owner, the trio are given the opportunity to play the new addictive game after hours thus pulling them into the suspenseful mystery. 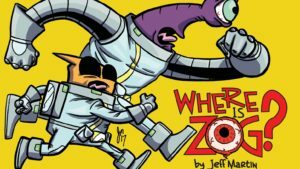 Known primarily for his webcomic HEAT: The Space Age of Pro Wrestling (fusing pro wrestling and science fiction), cartoonist Jeff Martin is combining together elements of pro wrestling with another genre in battle monsters. 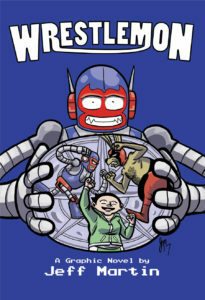 Wrestlemon (2017) parodies the popular Nintendo property of Pokémon (short for Pocket Monsters) while also parodying pro wrestling with allusions to lucha libre in its featured monsters and homages for the likes of “The American Dream” Dusty Rhodes, “The Nature Boy” Ric Flair, Jake “The Snake” Roberts, John Cena, Demolition, Ultimate Warrior, and more. The plot revolves around rookie trainer Jacey and her Wrestlemon Technico (after the lucha libre term “tecnico” meaning technician and referring to a babyface or hero) as they begin their path toward competition in the world of Wrestlemon. In their way is Jacey’s rival Thad and his Wrestlemon Roodo (after the lucha libre term “rudo” meaning rough and referring to a heel or villain) as Thad struggles to escape the shadow of his legendary father and his Wrestlemon Flaireon. All paths lead to a Wrestlemon gym where Jacey and Thad must prove their worth as trainers and their Wrestlemon demonstrate the ability to overcome in such a highly competitive environment.